The Twitter-happy Booker has since followed this up with more YouTube statements and clarifications than we were getting from Charlie Sheen during last year’s meltdown, Team Obama has pushed back pretty hard at him (“In this particular instance he was just wrong,” said David Axelrod), and the Republicans are predictably delirious. Several of my colleagues have offered good commentary on the substance of Booker’s remarks, but I thought I’d add a word about the context of his riff. Many people who think of Booker only as your typical urban liberal (who, for one thing, endorsed gay marriage long before Obama) may be wondering where his defense of private equity is coming from. Well, where it’s coming from is from one side of the rift that I described in this piece: the split between the Obama administration and the hedge fund and private equity managers who, only a few years ago, felt a special bond with Candidate Obama. Many of the same Wall Street types who saw Obama as a new kind of Democrat, a brilliant superstar floating above the hacks (not unlike themselves, floating above the time-serving i-bankers!) 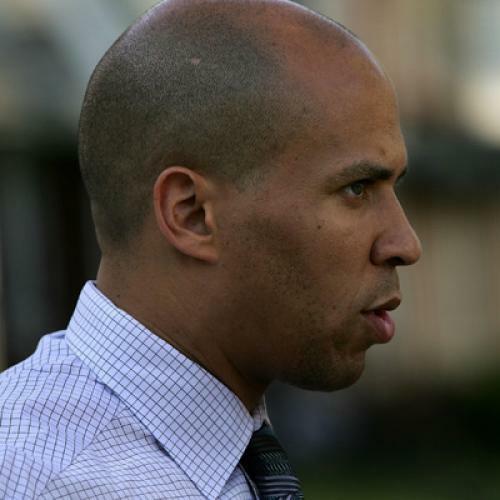 saw the Ivy League-educated, magnetic Booker much the same way, and supported him accordingly—Booker’s campaigns for mayor got huge backing from across the river, as his decidedly hackish opponent Sharpe James liked to point out. Well, three years later, Obama has lost many of these supporters, for the reasons I describe in my piece. But Booker—who does not have to worry himself about things like financial reform and the carried interest loophole—has managed to remain in their good graces. He has not had to seriously confront the inherent contradictions that have defined the Wall Street-Democratic alliance of the Bob Rubin/Chuck Schumer era. That is, until now. Booker knows this, and knows that it would be tough to win a face-off against Christie if he doesn’t have at least some of the money guys on his side. A final thought: It is worth noting that, even before this episode, there were some fellow Democratic elected officials who were skeptical of Bookermania. I was meeting not long ago with another African-American mayor of a good-sized city and when I brought up Booker he cocked an eyebrow, harrumphed, and said, “Have him tweet ya.” A similar sentiment is now probably rife in a certain downtown Chicago office.